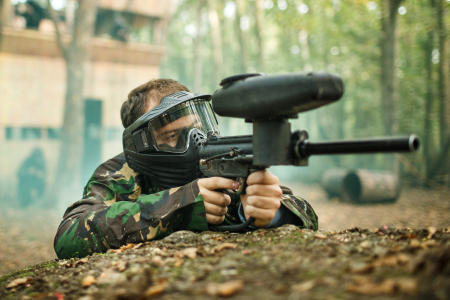 For paintball in Somerset we offer three outstanding venue's, our Bristol venue is the most central offering easy transport for Somerset customers. The other two sites for paintball in Somerset are slightly further afield but may be more convenient for some customers. All of our paintball sites maintain their equipment on a regular basis to ensure your paintballs shoot straight and all the protective clothing will keep you safe and secure! All of our venues for paintball Somerset also operate with the latest in paintball technology so you can be sure your paintball day out will be a memorable one for all the right reasons! Check availability and book online today to avoid disappointment. UKPaintball look forward to seeing you on the battlefield soon!